"Working with PCG has been very beneficial to our loan fund, primarily because it has allowed us to participate in larger loans that have had a greater impact on our target market. 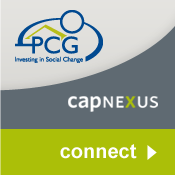 PCG has helped to build our capacity as a small and emerging loan fund, offering their expertise on multiple issues." For lending partners that have excess capital available for lending (under-deployed CDFIs), we help to match these organizations with community economic development investment opportunities. By increasing the deployment levels of under deployed CDFIs, the network enhances the earned income and financial viability of all participants. This helps make CDFIs a more permanent presence for borrowers that lack access to the traditional financial services industry. A CDFI that is under deployed today may be over-subscribed at the same time next year. Access to a network will enable CDFIs to better respond to the needs of borrowers when that time comes. This model also benefits our borrowers by providing borrowers with more capital than they could otherwise access from a single financial institution. Frequently, participation lending is the only form of financing that allows our borrowers to fully finance their project requests and launch their projects. 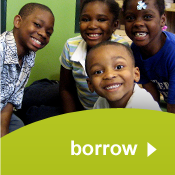 Our participation network enhances our ability to achieve our mission and program goals by leveraging our capital and impact through a national network of lenders committed to serving our target borrowers. The result is more capital for borrowers that need it most. 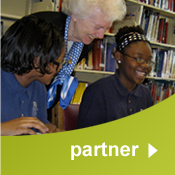 Interested in partnering with Partners for the Common Good? Read more here. Sunset Hills is an affordable housing subdivision in Dade City, FL. PCG provided critical financing for these 64 affordable single-family homes.